Making buildings more environmentally friendly is the easiest and most effective way to cut climate-changing carbon emissions, often slashing energy costs by up to 70 percent. So why isn’t there a massive effort to “green up” existing buildings and set green standards for all new construction? North America’s buildings are responsible for a staggering 2,200 megatonnes of carbon dioxide (CO2) emissions — 35 percent of the continent’s annual total. A new report released Thursday says a rapid uptake of currently available and emerging advanced energy-saving technologies could slash emissions by 1,700 megatonnes (MT) of CO2 emissions by 2030. A cut of that size would nearly equal the CO2 emitted by the entire U.S. transportation sector in 2000. “Improving our built environment is probably the single greatest opportunity to protect and enhance the natural environment,” said Adrián Vázquez, executive director of the tri-national Commission for Environmental Cooperation (CEC) that produced the report, “Green Building in North America: Opportunities and Challenges”. Examples of green building strategies include energy efficient appliances, solar panels, ample windows that eliminate the need for electric light during daytime hours, and rooftop gardens that cool in the summer and insulate in the winter. “Green building represents some of the ripest ‘low-hanging fruit’ for achieving significant reductions in climate change emissions,” Vázquez told IPS. Buildings are the proverbial elephant in the room in terms of energy and resource use, according to the report. In the U.S., they devoured 40 percent of all energy, with 1.24 million new single family homes being built every year. 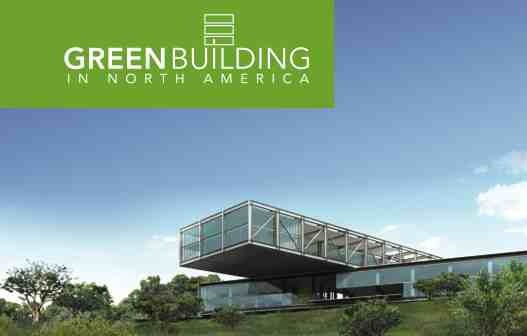 In Canada, buildings are responsible for 50 percent of all natural resources used. In Mexico, they use 25 percent of all electricity and produce 20 percent of the country’s waste. The most efficient buildings today use about 70 percent less energy than conventional properties. Despite proven environmental, economic and health benefits, however, green building accounts for a only small fraction of new homes and commercial buildings — just two percent of the new non-residential building market, less than half of one percent of the residential market in the United States and Canada, and even less than that in Mexico. It would seem that energy costs aren’t high enough. Multi-billion-dollar government subsidies paid to the energy sector lowers the actual cost of energy, and tilts the market away from green buildings towards the cheapest built structures. In Mexico, the government “greatly subsidises” electricity costs, especially in the hotter areas, said Vázquez. There is no financial incentive to build more efficient buildings in Mexico, and most people can’t afford to pay higher costs up front even if they would save money in the long run, he said. “We need a full lifecycle analysis and the Mexican government is very interested especially for the low-income housing it is building,” Vázquez said. “Greener buildings are more expensive to build but the payback is just five or six years,” said Jonathan Westeinde, managing partner of the Windmill Development Group in Ottawa and the CEC’s advisory group chair. “The problem is that the tenant benefits from lower energy costs, not the building owner or developer,” he said. 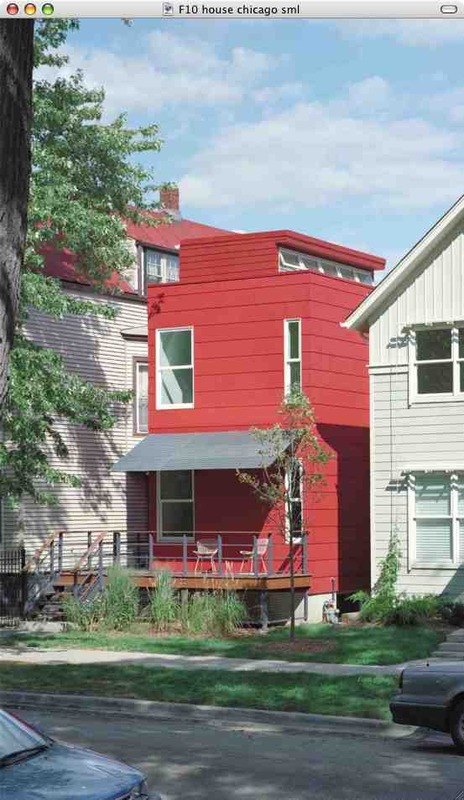 One way around this is for governments to make green building techniques the new normal standard for all new construction and renovation of existing buildings in North America. The report calls upon North American governments, industry and non-governmental leaders to set clear targets to achieve the most rapid possible adoption of green building in North America. This would include “aggressive targets for carbon-neutral or net zero-energy buildings, together with performance monitoring to track progress towards these targets”. Green buildings use less water, create less waste and are healthier for people and their productivity, boosting the benefits to governments and society as a whole, Westeinde, a developer, said in an interview. The annual cost of building-related sickness is estimated to be 58 billion dollars in the U.S., the report found. Green building has the potential to generate an additional 200 billion dollars annually in worker performance in the United States by creating offices with better indoor air. Retrofitting existing buildings is where the bulk of the energy and carbon reduction will come from. A regulatory framework and new ways to finance such retrofits are crucial but currently governments are completely ignoring the building sector. The fact is commercial buildings are already replacing windows and heating/cooling equipment every eight to 12 years but will install equipment to meet the minimum standards, he said. “The building industry also has the lowest research and development investment of any sector. There is a big potential for improvement there,” he noted. Canada has not been very interested in buildings as part of its climate change mitigation efforts. “Hopefully this will wake them up,” he said. Mexico’s Ministry of the Environment is already very interested and supports green buildings for the housing and commercial building sector, said Vázquez. Public interest in energy efficiency and green buildings has never been higher in all three countries, according to Westeinde. “People understand the necessity for doing something about climate change,” he said. I really like your blog. I work at Cedesol Foundation in Bolivia, South America where we are trying to provide alternative energy solutions to problems relating to energy in this part of the world, primarily at the moment through the incorporation of ecological stoves (solar, heat retention and improved wood). If you would like to take a closer look at what we do, please visit our website or our change.org community: Cedesol.